Alila Ubud is one of Ubud’s most well-known destinations. Made famous by its iconic swimming pool, the resort has continued to enchant its guests with unique experiences, all secluded on the side of the Ayung River Valley. Alila Ubud Hotel ‘s Terrace Tree Villas are just one of the special aspects this property has to offer. Without a doubt, Alila Ubud Hotel ‘s location is its main attraction. Gently rolling down the river valley, with views out onto the open expanse of lush Ubud countryside, it is a spot many can only dream of. The most sought after stays here have been the Terrace Tree Villas which enjoy front row seats to this valley vista, where you can wake up early to see a dreamy morning dew rising as the sun begins to wash over the trees. 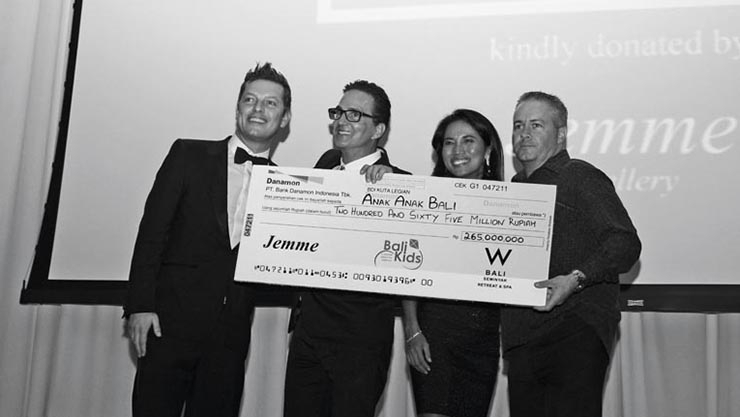 Despite being the most sought after, there were previously only four of these beloved villas, meaning only the luckiest of travellers could have this experience – but now with the launch of six new Terrace Tree Villas – five one- bedroom units and one exclusive two-bedroom unit with private pool – more can revel in this luxurious Bali destination. The One-bedroom Terrace Tree Villas are spacious private retreats comprising 75 – 80 sqm of indoor space adjoined by 43 sqm of outdoor space encompassing a garden and courtyard. The Two-bedroom Terrace Tree Villa is extraordinary, spanning a lavish 190 sqm, including a large outdoor terrace for relaxing, dining and soaking up the jungle views, and a 40 sqm private pool where guests can swim above the treetops. Each villa is designed as an intimate haven with its own private entry court and water garden. Maximising natural light, openness and views, the foyer connects an indoor/outdoor bathroom with a high-ceilinged bedroom space that flows directly out to a terrace that sits high over the Ubud jungle. The villas are designed by Indonesian architects NXST, who have drawn inspiration from the temple forms and details that are evident throughout everyday life in Ubud. Local artisan traditions are also beautifully reflected, for instance, in the volcanic stone tiles that give each villa a sense of mystery and connection to the rich stone carving tradition that survives in the surrounding villages. The villa interiors showcase classic Alila elegance and restraint, accented with opulent handwoven textiles from nearby Sideman Village, and with spaces defined by the sensual interplay of light and shade imbued by the Ubud surroundings. Luxury pervades every thoughtful detail – from the 300-thread-count Ploh bed linen to the decadent deluxe bathroom equipped with an indoor bathtub, outdoor rain shower and jet shower. Separate His and Her vanities are furnished with a complete range of Alila amenities made from superior quality, locally sourced organic ingredients: lemongrass and black pepper for Him; mandarin, lemongrass and rose geranium for Her. There’s even more to discover in the special bathtub box, containing indulgent amenities such as from bubble bath to face masks and beautiful handcrafted beeswax candles, all in Alila’s signature secret scent. Not to mention a collection of outdoor activity amenities, including sunblock, after-sun cooling gel, mosquito repellent and face spritzer. And should you need or want anything else, a personal Villa Host is just a call away, ready to attend to every whim. Combining luxurious space and privacy in a lush jungle setting, Alila Ubud Hotel ’s Terrace Tree Villas promise a trulysensational stay. Book at Best Available Rate and enjoy USD 100 Resort credit for Food & Beverage, Spa and Alila Experience. 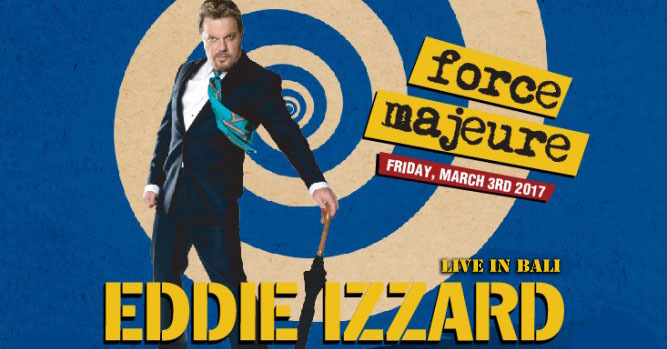 Force Majeure: Comedian Eddie Izzard Live in Bali !